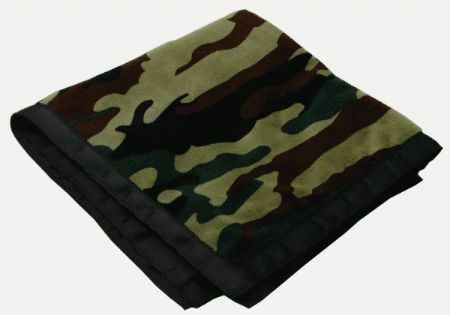 Man Up your baby gift with a personalized camo blankie. Super soft minky material that baby will love, and a camo look that Dad will like too. Mini blanket has satin trim and a small size so baby can tote it anywhere.